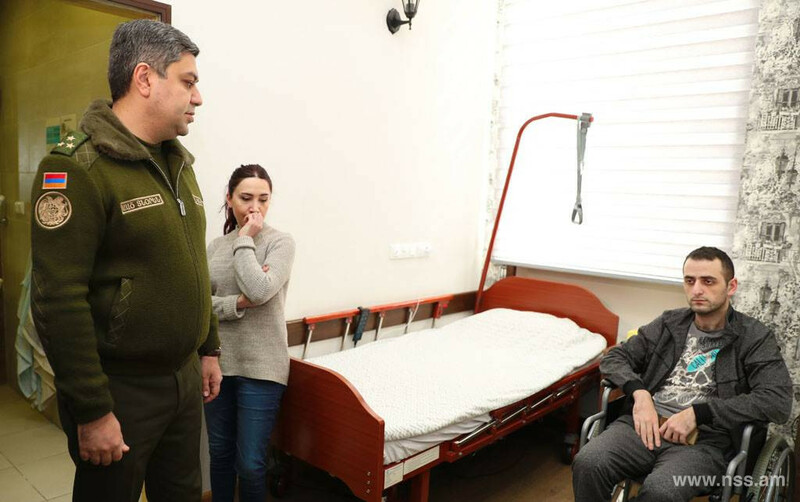 Today, Director of the NSS of RA Artur Vanetsyan visited the Homeland Defender's Rehabilitation Center located in the building of Heratsi Hospital Complex N1. 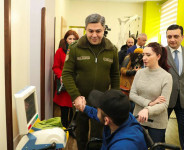 Accompanied by YSMU Rector Armen Muradyan and Director of the Rehabilitation Center Haykuhi Minasyan, he toured the center, got acquainted with the activities of the specialized rehabilitation center designed for disabled servicemen, talked with the servicemen who were undergoing rehabilitation treatment at the center. 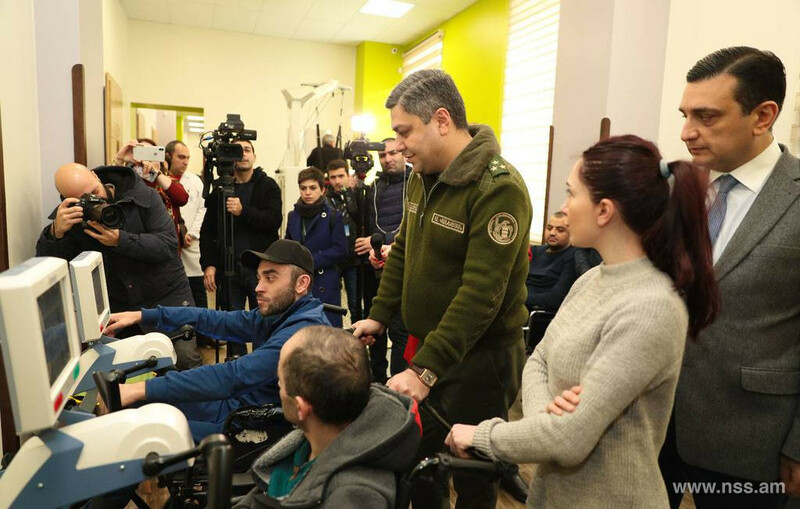 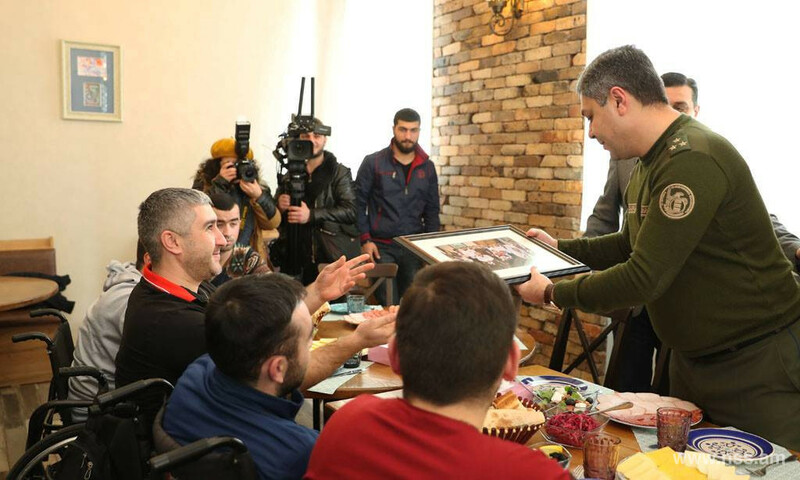 Introducing the possibilities of the center YSMU Rector Armen Muradyan noted that the center operates as an integrated rehabilitation complex where the issues related to social integration, education and employment of disabled servicemen are solved. 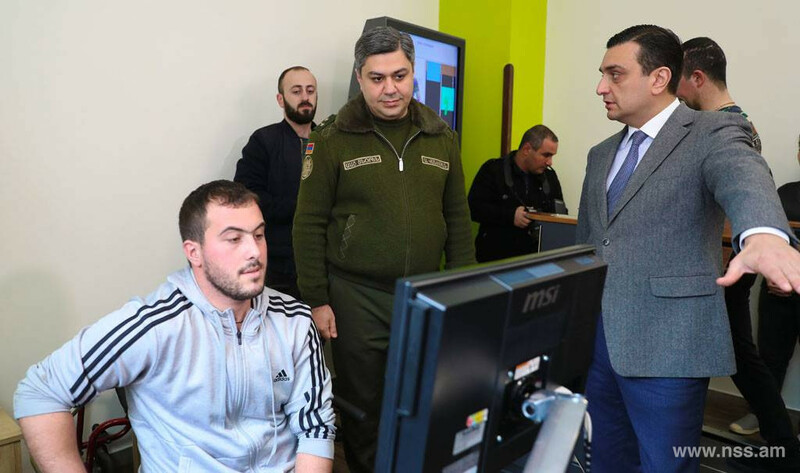 After the tour the NSS Director shared his impressions. 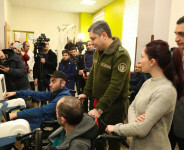 “We knew about the existence of such а center, we knew about our soldiers, injured servicemen being treated here, but to see everything with your own eyes and understand what is actually being done here is really very impressive.” Returning to the issue that young people who are undergoing treatment in the Homeland Defender's Rehabilitation Center have a problem with employment, the NSS Director noted that both the NSS and FFA are ready to hire them. 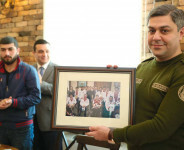 “During our discussions with YSMU Rector Armen Muradyan I’ve learnt that we can present the requirements necessary to work for us and after the corresponding training these young people will acquire the necessary skills and will come to work” and added that those officers and soldiers who were injured during their service and can’t serve in the army due to their health condition will continue to work in the NSS or FFA. 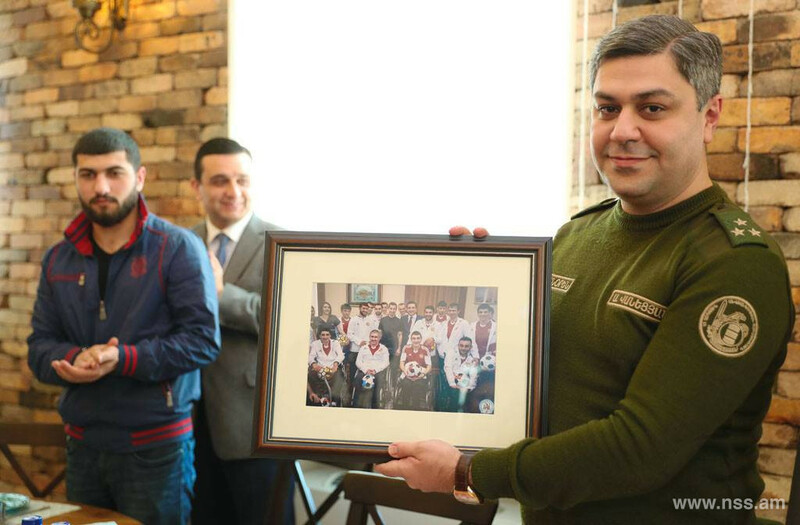 Director of the NSS of RA Artur Vanetsyan noted also that the issue on engagement of these soldiers and officers in the activities of the NSS and FFA will be under his control. 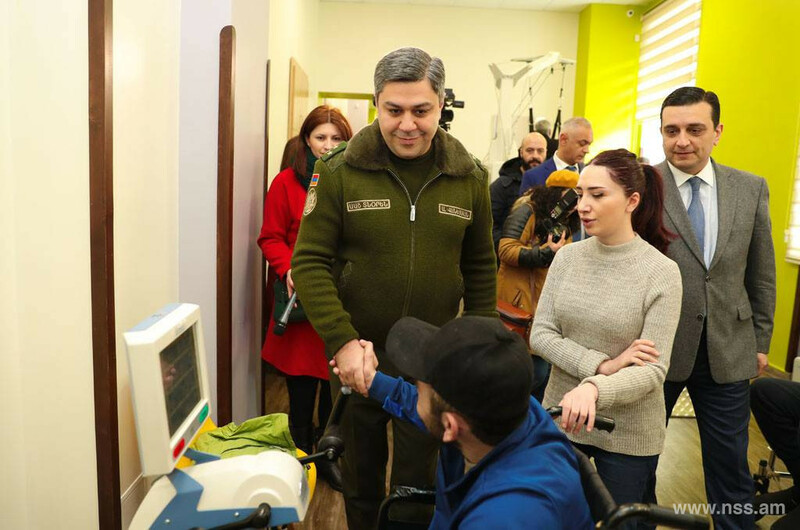 At the end of the tour Director of the NSS of RA had dinner with the servicemen who were undergoing treatment in the center.